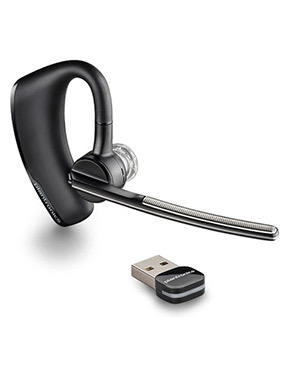 Plantronics Voyager Legend UC BT Headset B235-M/Lync is an innovative device that has been structured to be connected to more than 1 device, including PC, tablet, or smartphone. Using a USB in order to be wirelessly connected to the headset, the Bluetooth mini USB adapter helps in making sure the users are always connected when using the device. Plantronics Voyager Legend UC BT Headset uses the very first Smart Sensory technology in the industry, allowing users to answer call without needing to press any button and by simply wearing it. Call Headsetsonline hotline today at Australia wide 1300 131 133 and talk to our experts to learn more about this product. Plantronics, established in the year 1961, is currently an expert developer and manufacturer of consumer electronic products and solutions. 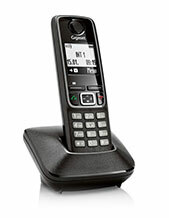 Some of its most popular offers include Office & Home Headsets, Unified Communications Solutions, Bluetooth Devices, Enterprise Solutions, Gaming Headsets, Digital Enhanced Cordless Telecommunications or DECT, PC Audio Devices, Contact Centre Solutions, and Small Business Communications. Plantronics has been a consumer and business audio communications frontrunner for over 5 decades now and since then has focused its efforts on the development of devices and solutions that could support the most relevant audio needs and sound preferences of customers all over the world. These devices and solutions are ensured to facilitate and produce clear and simple communications in distraction-free environments. From the creation of the lightest headsets in the 1960s to hearing impaired-aid products and solutions, the company has gone a long way in providing all types of customers in the market, varying to different types of companies and industries. Headsetsonline Pty Ltd is an Australian supplier and wholesaler of audio and sound products and solutions empowered by its powerful product portfolio comprised of varied offers from qualified Australian distributors and not grey imports. With these distributors, the company guarantees its customers that all of the products and solutions offered are perfectly functional and has high quality. In addition to that, the warranties offered can work for customers, wherever they are in the country. Headsetsonline does not only provide high quality products and solutions but also incredible customer service. The company is known for completing deliveries successfully all over the country, with flat shipping rates and without hidden and surprise charges. However large the package to be delivered may be, the payment for delivery will be the same. 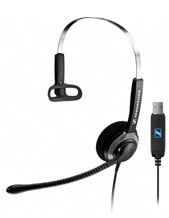 Headsetsonline operates through its online store integrated in the company’s official site at Headsetsonline.com.au. This site is secured and encrypted in order to protect the customers purchasing products and services from there.